District Programme Coordinator Dungarpur Recruitment 2017-18 for Jr Technical Asst, Accounts Asst. 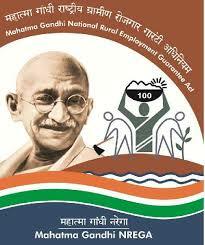 Posts: Office of the District Programme Coordinator, Dungarpur District Rajasthan has Released Recruitment Notification for 77 Junior Technical Assistant & Accounts Assistant vacancies under Mahatma Gandhi National Rural Employment Guarantee Act (MGNREGA), District – Dungarpur. Interested for getting Jr Technical Asst, Accounts Asst. Vacancies, May Apply on or before 16-08-2017 hrs on wards. Qualified in Degree/ Diploma in Civil Engineering with B.E./ B.Tech in Agricultural Engineering for Junior Technical Assistant, B.Com/ C.A. Intermediate (I.P.C)/ I.C.W.A. (Inter)/ Company Secretary (Inter) for Accounts Assistant. Candidates age limit is 21 to 35 Years. Age relaxation is as per Govt rules. Candidates selection will be based on qualification, experience, computer knowledge. Interested candidates may submit their application form along withtwo postal stamps, two passport size photographs with self attested copies of educational, educational/ experience, proof of age certificates & other necessary documents sent by Post to Office of the District Programme Coordinator (MGNREGA) & Collector Office, Zila Parishad (Rural Development Cell), Dungarpur on or before 16-08-2017 hrs on wards.